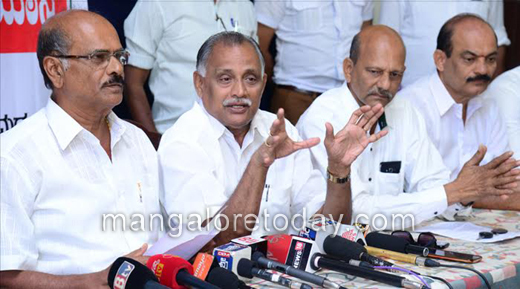 Mangaluru, Jan 23, 2017 : A peaceful Hakkottaya protest rally demanding a lift on the Kambala ban will be taken out from Swaraj Maidan Moodbidri to the Kadalakere Nisargadhama on January 8 at 9 am with the participation of several film stars, students, general public and political leaders irrespective of party affiliations, informed Abhayachandra Jain, former minister and President of Koti Chennaya Jodukere Kambala Samithi of Moodbidri. Speaking to reporters at Hotel Woodlands here on January 23, Monday, Abhayachandra also declared that he was ready to even go to jail for the cause of Kambala. Stating that Kambala has been banned on the pretext that Jallikattu has been banned, Abhayachandra has said that Kambala can in no way be compared to Jallikattu. "No cruelty to animals is involved in Kambala," he said and added that a Kambala buffalo is taken care of by more than ten persons. He also feared that buffaloes may be sent to butcheries if Kambala is banned. 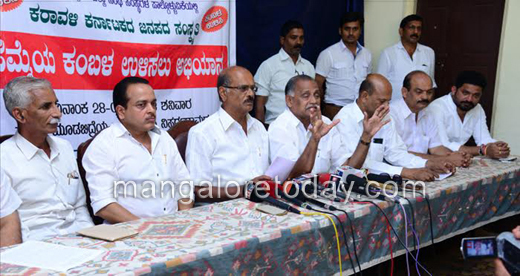 Gunapala Kadamba, President of Kambala Academy said the Animal Welfare Board of India and PETA have provided wrong information about Kambala which in reality is organised in a systematic manner without inflicting any cruelty on the animals. The Government too is supporting Kambala in various ways, he said adding Rs one crore was sanctioned to Kambala during the chief ministership of DV Sadananda Gowda. Stating that the Kambala organisers would celebrate if the SC ruling on January 30 was a positive one, he added else the protest would be intensified. Tulu film and theatre personalities namely Vijay Kumar Kodialbail, Devadas Kapikad, Arjun Kapikad, Naveen D Padil, District Youth Congress President Mithun Rai, Deviprasad Shetty and many others were present.